Much like many states in the US, Alaska DUI laws maintain that a blood alcohol concentration of 0.08 percent prohibits individuals from operating motor vehicles. In general, Alaska DUI laws will take away your driving privileges if you partake in the following actions. These include: refusal to take a chemical test after you have already been arrested for DUI, drivers with a blood alcohol level of 0.08 percent or more, a "commercial vehicle operator" with a blood alcohol level of 0.04 percent or more, and individuals under the age of 21 who either operate a motor vehicle under the influence of alcohol, refuse to take a chemical test, or employ fraudulent drivers licenses in order to purchase alcohol. Alaska law on DUI set fourth five specific penalties which accompany each offense and repeat offense, after which increasingly serious consequences are to follow. For a first time Alaska DUI, drivers license suspension includes a minimum amount of ninety days along with a minimum imprisonment time of seventy two hours, and a fine of $1,500. A second Alaska DUI offense will incur a minimum drivers license suspension of up to one whole year with a jail time minimum of twenty days, as well as a fine of $3,000. The penalty for third Alaska DUI offense is heightened in terms of seriousness in much the same way as subsequent fourth and fifth DUI offenses are as it they area all categorized as "Class 'C' Felonies." In reference to this third Alaska DUI offense, the individual's driver’s license is to suspended for either a minimum amount of three years or a complete and permanent suspension, such as is also representative of the last two numbered DUI offenses. In addition, imprisonment possesses a minimum amount of sixty days or one hundred and twenty, in addition to fines being either $4,000 or upwards of $10,000. Both the fourth and fifth offenses equally advance upwards in terms of penalty. For four time Alaska DUI offenders, the minimum amount of years for drivers license suspension is that of five year, with imprisonment being either ninety days of one hundred and twenty. Fines will be that of either $5,000 or $10,000. For the fifth Alaska DUI offense, the minimum amount of years for drivers license suspension mirrors that of fourth time offenders. In contrast, however, its minimum jail time is that of two hundred and forty as well as three hundred and sixty days. In addition, fines increase with them being specified as either $6,000 or $10,000. It seems that Alaska DUI laws are stricter in terms of license revoking in comparison to actual jail time. It appears that it is more important to guarantee safety indefinitely as opposed to for a brief time while individuals are incarcerated. In addition, the laws for individuals under the age of 21 also demonstrate that Alaska is ready to prosecute even those who are not legally allowed to partake in alcoholic substances to begin with. 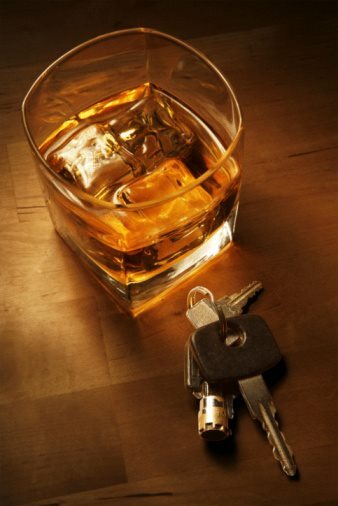 If you need legal advice and assistance, contact DUI lawyers.